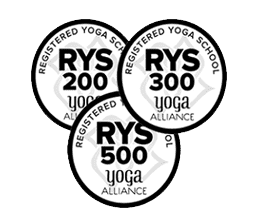 List of Canada based yoga teachers (RYT 200, RYT 500, ERYT) registered with Yoga Alliance, USA offering 200 and 500 hour yoga teacher training courses and retreats in Belleville, Ajax, Regina, Fredericton, Nanaimo, Waterloo, Windsor, Etobicoke, Moncton, North Bay, Kitchener, Winnipeg, Sudbury, Oshawa, Mississauga, Halifax, Fort McMurray, Red Deer, Langley, Peterborough, Brantford, Charlottetown, London, Montreal, Vancouver, Burnaby, Surrey, Hamilton, Abbotsford, Bramalea, Burlington, North York, Barrie, Dartmouth, Kingston, Kelowna, Victoria, Lethbridge, Grande Prairie, St Catharines, Niagara Falls, Toronto, St John's, Edmonton, Calgary, Ottawa, Scarborough, Medicine Hat, Guelph, Saskatoon, Sarnia, Eastern Passage. Maureen is known throughout the industry for innovative sequencing. She teaches a flowing Vinyasa Style yoga class, integrating techniques from Viniyoga.. She has been involved in the fitness industry for over 30 years, the yoga industry for over 20 years, and has been training instructors since 1986. Karuna Erickson is a devoted yoga teacher as well as a psychotherapist, practicing in both fields since 1970. The focus of her work is the integration of body, mind, heart, and spirit. She is the director of the Heart Yoga Center, a registered yoga teacher training school with the Yoga Alliance. Leigh began her journey with Iyengar yoga in the early 1980’s and fell in love with this intelligent approach to body mind awareness; as her practice deepened the spiritual benefits became increasingly important. As a registered massage therapist (RMT), a certified Iyengar method yoga instructor and Personal. Teaching yoga for 40 years and training teachers at international standards for 23 years Certified 500 hour teacher (Acharya) from the Sivananda Yoga Vedanta Centre (1978) under Swami Vishnu-devananda, Registered Yoga Teacher with Yoga Alliance (E-RYT500) past Canadian Representative for the International Yoga Teachers’ Association (IYTA) (1982-2016). I have been a meditator for more than 25 years and teaching Deep Meditation since 2005. My meditation practice inspired me to share the experience of inner peace and led me to deepen my studies. I was transmitted the knowledge to teach this meditation technique after 500 hours of training between 2001 and 2005. Also, I have been a Hatha Yoga practitioner since the early 90s. I have been teaching it since 1999, right after I completed my first Teacher Training Course at the Sivananda Yoga Vedanta Ashram. Tina Pashumati James is a Teacher of Yoga, 30 years of study, Teaching, Sharing sacred ceromony every day and living beautifully. Tina Pashumati is highly experienced and specialised in traditional hatha and ashtanga-yoga. At the end of this course you will obtain knowledge for your own practice to better health, confidence and self-discipline in yoga lifestyle and practices to teach yoga.